The rumours have been confirmed: Philip Morris International (PMI) and the Ferrari Formula 1 team have officially announced a partnership relating to PMI’s heated-tobacco device IQOS. PMI said the partnership, in place until 2021, “is focused on advancing the cause of a smoke-free world”. An image of the new Ferrari SF71H car circulated recently on the internet featured the IQOS logo on the upper part of the vehicle. But during last week’s official Ferrari presentation of its 2018 car (pictured above), the IQOS logo did not appear on the vehicle. PMI said more details of the partnership would be announced “in the coming months”. Ferrari – “the perfect partner to this challenge” according to Calantzopoulos – recently lost a deal with Spanish bank Santander, which had been linked with the Italian team since 2010. Some sources speculate that PMI could be also interested in sponsoring the motorcycle team Ducati, one of the leading teams in MotoGP, or Alfa Romeo – a Fiat brand that will compete in Formula 1 in 2018 after 30 years absence from the sport. PMI’s involvement with the world of motorsport began in 1974, first sponsoring the McLaren team and later Ferrari. The logo of the PMI cigarette brand Marlboro appeared on Ferarri’s cars every year until 2007, when the EU banned tobacco advertising in motorsport. Since those regulations were introduced, Philip Morris is the only tobacco company still involved with the Formula 1 championship, which is watched every year by 352m TV viewers around the world. It is not at all clear if current EU legislation bans the advertising of IQOS – a heated-tobacco device, not a traditional cigarette. According to PMI, the EU’s Tobacco Products Directive (TPD), which bans cross-border sponsorship of e-cigarettes, does not apply as it does not class IQOS as an e-cigarette. Similarly, the company says the 2010 Tobacco Advertising Directive, which regulates TV ads and sponsorship in events, does not apply to heat-not-burn (HnB) devices. Motorsport’s world governing body, the FIA (Fédération Internationale de l’Automobile) banned all tobacco advertising and sponsorship in 2016. The ban does not mention smoke-free devices like IQOS. The FIA has so far failed to respond to ECigIntelligence’s request for clarification. What This Means: So far the only thing known is that PMI is once again to partner Scuderi Ferrari, this time specifically in relation to IQOS rather than the former Marlboro sponsorship. 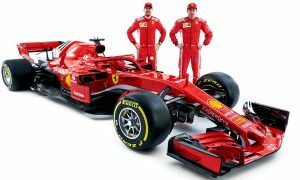 It is yet to be seen what sort of presence the HnB device will have in the daily activity of Ferrari for the 2018 F1 season, which begins with the Australian Grand Prix in Melbourne on 25th March. The two Ferraris will be driven by two former world champions, Sebastian Vettel and Kimi Räikkönen.